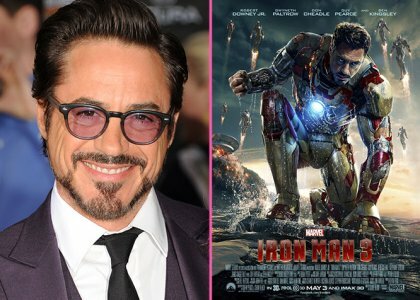 Robert Downey Jr.: Retiring From “Iron Man” ? He’s enjoyed quite the career resurgence thanks to his role as Tony Stark, butRobert Downey Jr. may be getting ready to hang up his “Iron Man” suit. The “Sherlock Holmes” stud recently told press that an on-set injury he sustained making “Iron Man 3” caused him to consider wrapping up his superhero gig. Robert shared, "It got me thinking about how big the message from your cosmic sponsor needs to be before you pick it up." "How many genre movies can I do? How many follow-ups to a successful follow-up are actually fun? I come from a family of very innovative writers and directors and actors and artists, and the circle of friends they were in were the people I heard having pun-offs playing poker at two in the morning, and it was just the most comforting aspect of my childhood. So there's this kind of legacy of souls from what I consider to be a very particular time in entertainment, and I'm sensing a return to that."